A nonfiction book by Britt Wray. 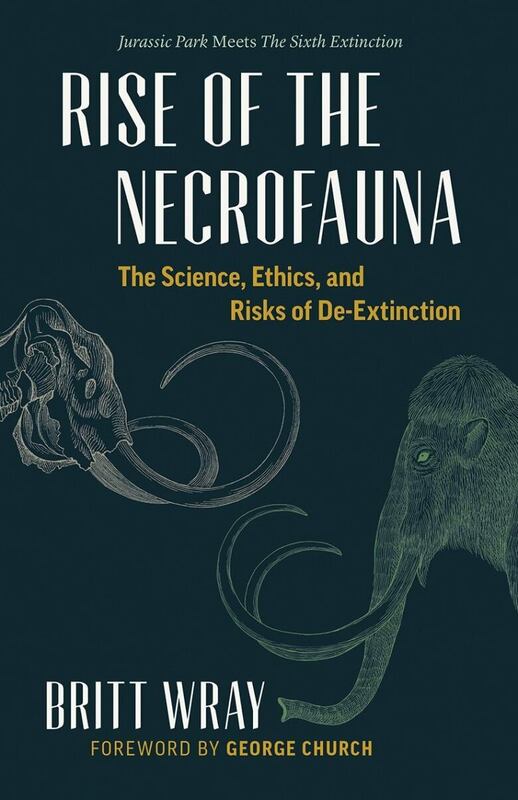 In Rise of the Necrofauna, Wray takes us deep into the minds and labs of some of the world's most progressive thinkers to find out. She introduces us to renowned futurists like Stewart Brand and scientists like George Church, who are harnessing the powers of CRISPR gene editing in the hopes of "reviving" extinct passenger pigeons, woolly mammoths and heath hens. She speaks with Nikita Zimov, who together with his eclectic father Sergey, is creating Siberia's Pleistocene Park — a daring attempt to rebuild the mammoth's ancient ecosystem in order to save earth from climate disaster. Through interviews with these and other thought leaders, Wray reveals the many incredible opportunities for research and conservation made possible by this emerging new field.